I love taking photos of wildlife and nature but editing my favorite images is such a chore and I’m not that great at it. I’m not looking for someone to photoshop a the moon into the night sky or make the ocean water pink. I'm just plain ol’ editing of shadows, highlights, sharpening, exposure, color correction, spot removal etc. I have looked for people on Upworks type websites to edit for me, but they are mostly editing photos for print ads or making leaner legs on a model, getting rid of dimples etc. Is there a group a people out in the world that would take my RAW photos and edit/process them for me? I'm guessing I would have approximately 10 photos a month. I live on the gulf coast of Florida and like to photography birds and sunsets. I do continue to work on my Lightroom skills for my "every day" photos, but for the photos I want to hang on the wall or a friend wants to print for their home, I need someone with better skills than I currently have. Welcome to the forum. I know that shoot dot edit has been around for some time, but I believe they start around $120USD/mo., and I am assuming that is not a cost effective solution for you. Have you spent any time learning to edit? Most of the basics that improve an image to a minimally acceptable level do not take that long. And if you are really wanting to work over an image, I am not sure that an editing service is going to know exactly what you want. Here ia slightly older review/article FWIW: What is the Best Photo Editing Service? Outsource your image editing . This is very helpful. I do edits but there is so much to learn There are hundreds of books and video. But this article is helpful. I will explore them further. Their are a lot of resources to help you improve your editing skills. I like to watch videos and Julieanne Kost's are usually well done - Lightroom Tutorials by Julieanne Kost . I would suggest just playing around with a few images to get a feel for things. You will find that the first 80% of editing takes 20% of the time. Unfortunately the second 20% also takes 80% of the time. Seriously, you can spend as much time as you want editing, but the first few adjustments are often not that intensive and they go a long ways to making an image presentable. You will get better as you do more. And, the Auto feature in the Develop module can often give you a good head start on an image. As Ken suggested, keep plugging away. As you know, there are so many different "tutorials" out there, and a wide range of quality. I suggest that you stick with one, such as Julieanne Kost and learn their approach - different authors often have mutually incompatible approaches, and in truth there are many different ways of achieving the same or similar ends. I see two main drawbacks with outsourcing. One is the difficulty of describing what you want - if you and I took the same starting image and developed it to our satisfaction, you could be sure we'd end up with two different results. But the main one for me would be it would no longer be my own work. It would be like Ansel Adams outsourcing his darkroom processing. Anyway, good luck, and ask more questions in the forums when you need ideas or guidance. My background was in raw processing for wedding photographers, before I got involved with Lightroom education, so I can speak with a little experience here. There are lots of raw processing services out there these days (I was first in the UK, but that was 13 years ago! ), but they're generally targeted at volume photographers like weddings, events, etc. The style isn't a big problem as long as you're working with the same editor all the time. (Most companies just have a bank of editors so it's a bit pot luck.) The editor soon learns the preferences of each individual photographer, but that does take a bit of time and feedback, so it's only generally worth doing for volume. It's like working with a pro lab in the good old film days, so unless you really are Ansel Adams, that's generally not an issue! Since we're only talking 10 photos a month, I'd also recommend working on improving your basic editing skills. 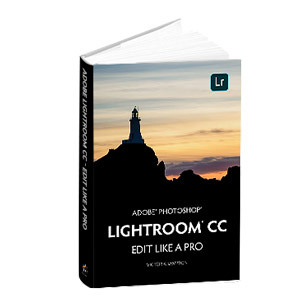 Don't think about plug-ins at this stage, just focus on Lightroom's base tools. My Edit Like a Pro book (linked at the top of the page) focuses more on the thought processes behind the editing, which might be a good direction for you to work from.